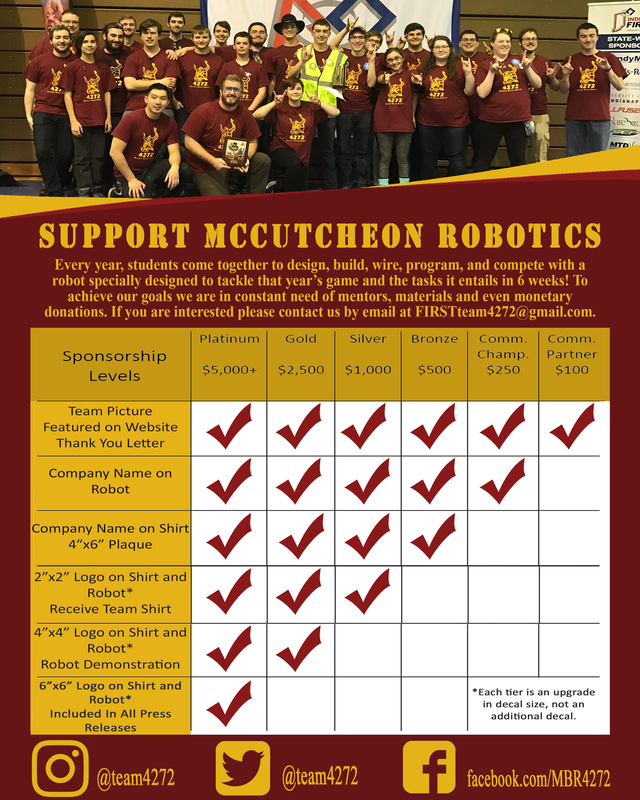 The McCutcheon Robotics Team is excited to announce they will be holding their 2nd annual Winter Workshops this December! We will be offering the following two separate camps on December 2nd as well as December 9th. In the Engineering field, nothing will be done without the creation, or manufacturing, of a product. In this workshop, the students will go through a series of three stations that highlight key factors of the Engineering field. Students will construct tables from paper to hold textbooks and learn about structural stability and weight distribution. They will also construct/race balloon-powered dragsters and learn about aerodynamics. Finally, the students will create miniature paddle boats and learn about hydrodynamics, stability and weight distribution. This workshop introduces students to the manufacturing process in a simple, safe, and entertaining way. One of the many important aspects of Engineering is Design. Without a design, nobody will know what the finished product dimensions or what the finished project will look like. In this 2 hour workshop, the students will use online design software- known as Autodesk Inventor- to create a design for a keychain they would like to make. Students will then use the laser cutter (with help from a mentor), to create their keychain design and take it home. This workshop will teach the fundamentals of design and its importance in the Engineering field in a fun and memorable way. You also have the option to sign up for both camps at 20% discount! For further details, please comment below or message the team. To sign up follow the link below! Next Post Boiler Bot Battle!